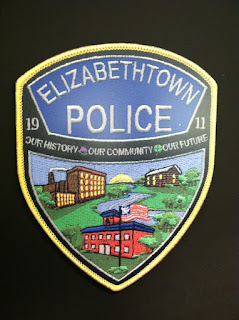 On Nov. 17, 1911, Elizabethtown Borough Council authorized the first municipal police department for the community. Last week, the department celebrated by issuing a new patch to commemorate a century of service to the borough. 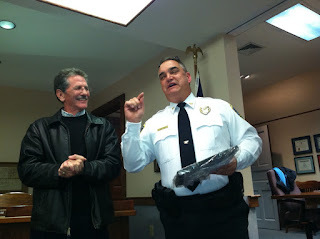 After Borough Council's meeting Thursday, Police Chief Jack Mentzer and invited guests, including former police chiefs and mayors, and other invited guests, gathered for a brief ceremony during which the chief unveiled the patch. Mentzer said the idea for the patch originated with an officer in the department after he took over as police chief about five years ago. When it dawned on him that he might be in charge of the department during its centennial, he agreed to designing a new patch. Mentzer worked with the local design firm Rice & Rice to develop and design the patch. In remarks, Mentzer said, "In my 30 years with Elizabethtown Borough and the police department I have had the privilege of working with dozens of people. Many of them are in this room tonight. ... You have laid the foundation of excellence and service that continues within the department today. "But let us not forget, the 'thing' that is more important than any ne of us in this room tonight, this 'thing' was an idea that was forged 100 years ago by Borough Council. It promoted the ideals of service to our community and the noble concepts of 'service before self' and 'service with integrity.' 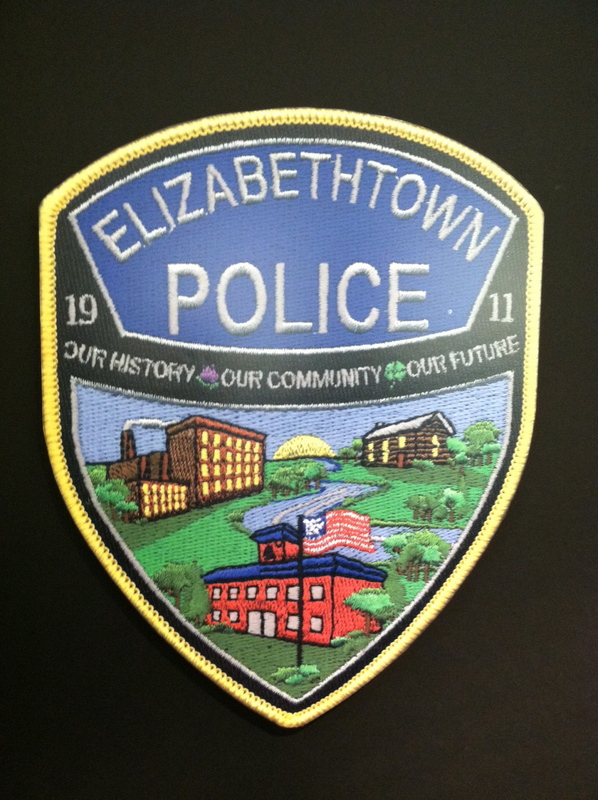 This 'thing,' we call the Elizabethtown Police department' will continue to serve the community, long after we in the room are gone. 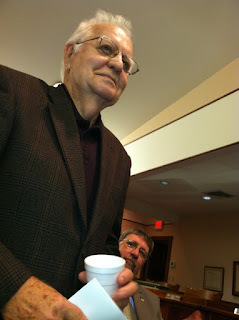 May it always be the epitome of professionalism and an example to all through service and integrity." Mike Rice, left, of Rice & Rice designed the patch.